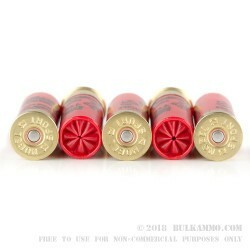 While low recoil shotshells may arouse some suspicion regarding their performance, many who have tried them claim that they still perform beautifully while being much easier on your shoulder. 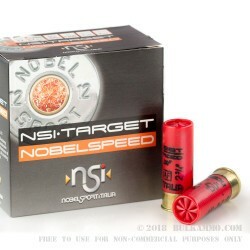 This shell by Nobel Sport offers 1 ⅛ ounces of high antimony hard #7.5 lead shot along with a quality propellant, precision patterning wad, and reliable proprietary 209 primer to give you the ultimate experience breaking clays at the range. 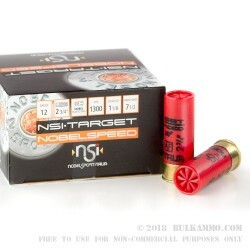 Anyone who has played ten games of trap knows they can feel it in their shoulder afterward -- with 250 of these, you’ll be more than ready for a golf game right after the range. Nobel Sport Italia is devoted to carefully manufacturing all of their shells’ components in house. Established in 1993, their dedication to quality has now earned them the favor of shooting enthusiasts across the world.